With the global population pushing past 7 billion people recently, the global food chain is approaching a tipping point, according to Alison Watkins, CEO of GrainCorp Limited. Speaking at the Creative Innovation conference in Melbourne, Watkins said increasing affluence amongst the growing global population means the world is consuming more protein in the form of meat – for which corn is a major food source. 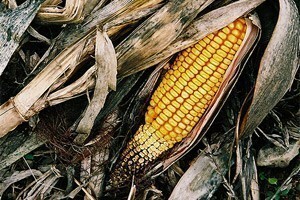 Corn is also now being widely used in the creation of ethanol as nations try to limit their dependence on foreign oil. Watkins the use of corn in the creation of ethanol, as well as a major source of feed for animals, has led to food security becoming a major concern. Watkins said with the global population growing by one percent per annum (that's the equivalent of adding a Germany – or an Ethiopia – every year) “the global food chain is approaching a tipping point”. She said the rate of improvements in crop yields has reduced dramatically over recent years, and we are going to see a halving of the arable land per head of population over the next 30 years. Against this the world is witnessing another bizarre phenomenon – 1.5 billion people in the world are overweight, compared to 925 million people that don’t have enough food. “Too much nutrition is killing people faster than not having enough food” said Watkins. Watkins said government's must act to make world trade fairer, as subsidies are hurting the worst off. “Third world farmers are competing with first world farmers who are receiving 60% of their income in a cheque from the government” said Watkins. Parents should also educate their children about these issues, and involve them in decisions about which causes to support, she said. An Australian documentary film, Growing Change, takes a journey through the global food chain. Click here for more information. This is definitely a global issue but also very local. For homeless and at risk youth in Melbourne, as a NFP, we are now devising programs to address empowerment and control around nutrition and food, such is the extent now of hunger among the client group-80% do not eat more than 2 meals a day and have extremely poor level of control over what they eat, subject to food vans, scraps and fast food. Teaching people who are sleeping rough how they can still cook and plan what they eat, has been a breakthrough, and we are expanding our work in this area in 2012 with signiicant pro bono support from the private sector.